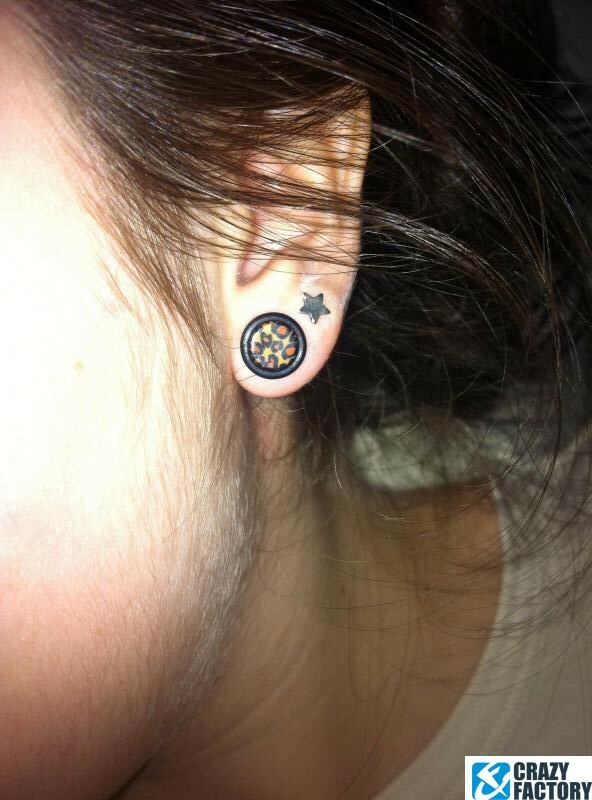 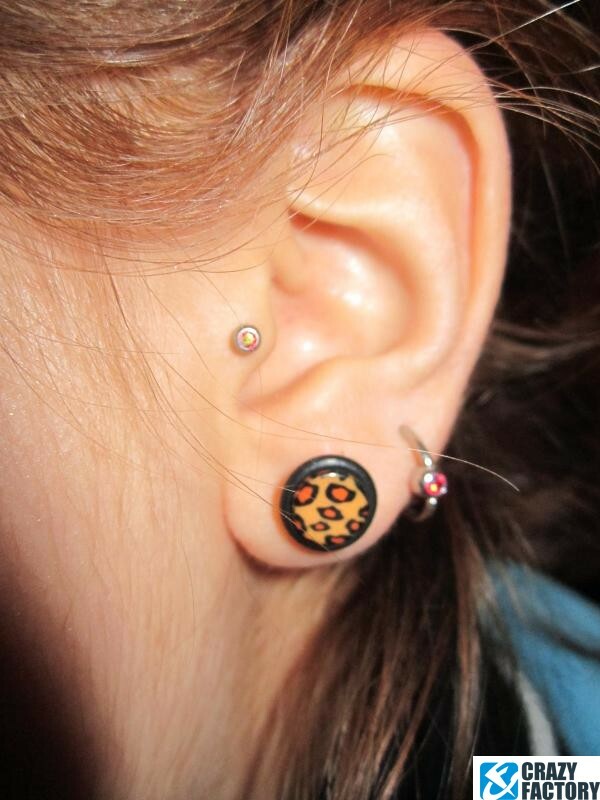 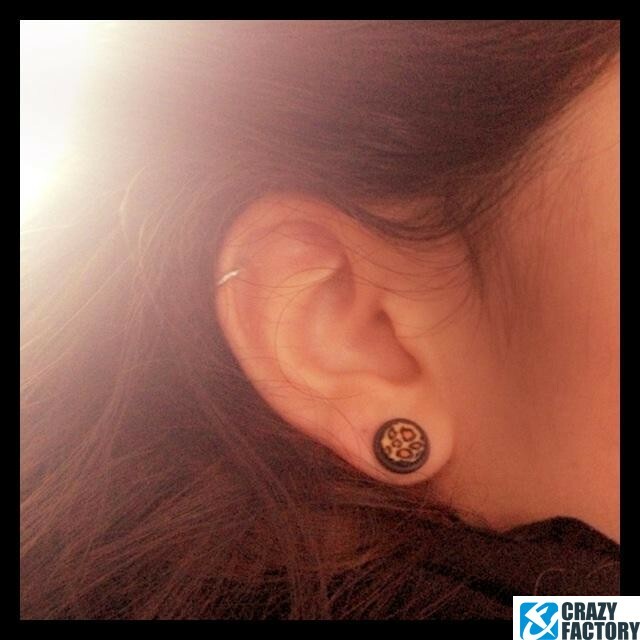 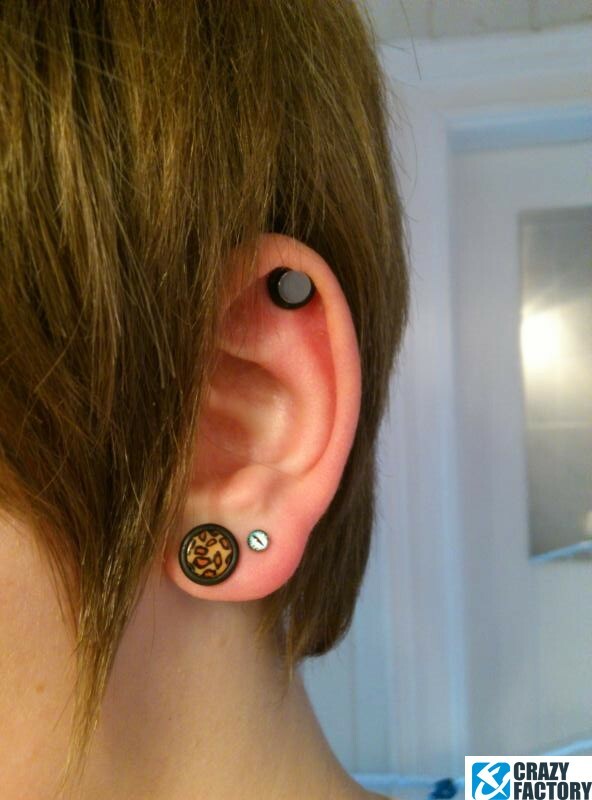 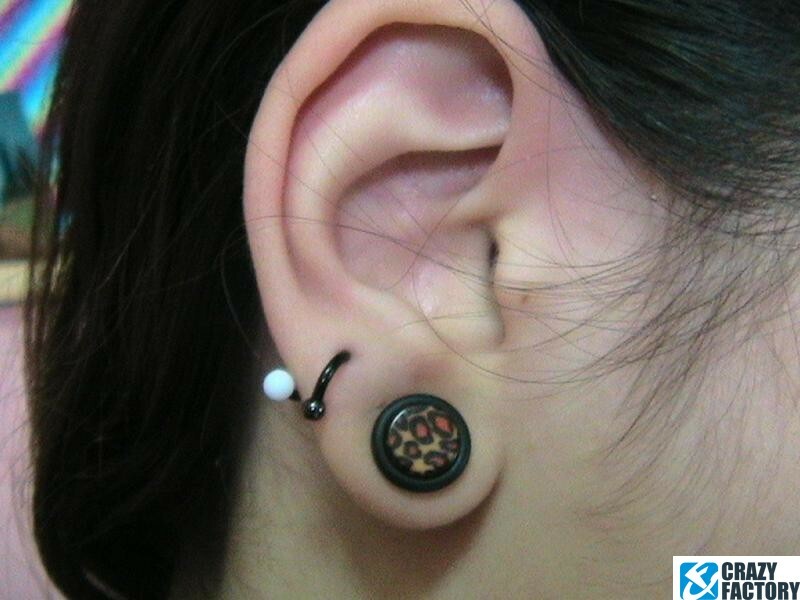 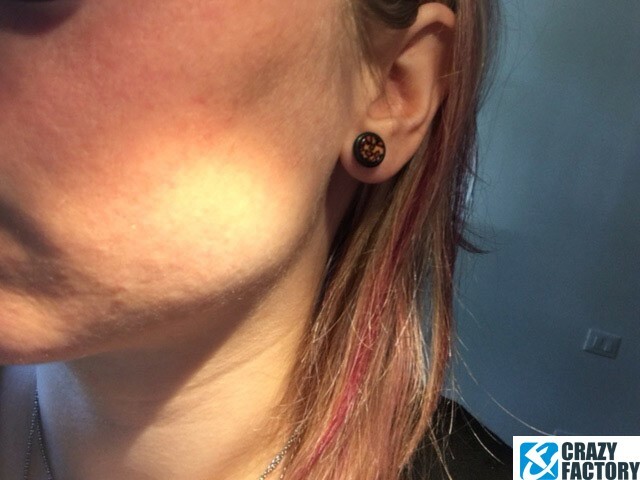 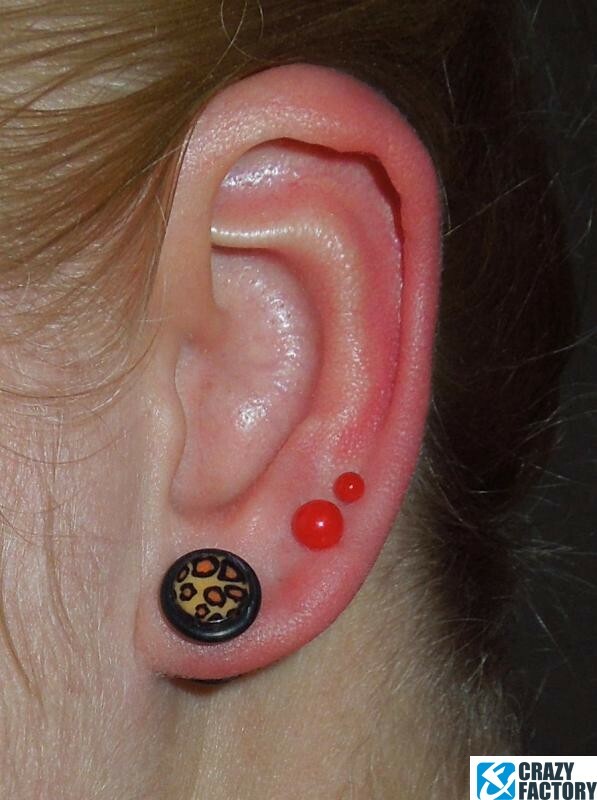 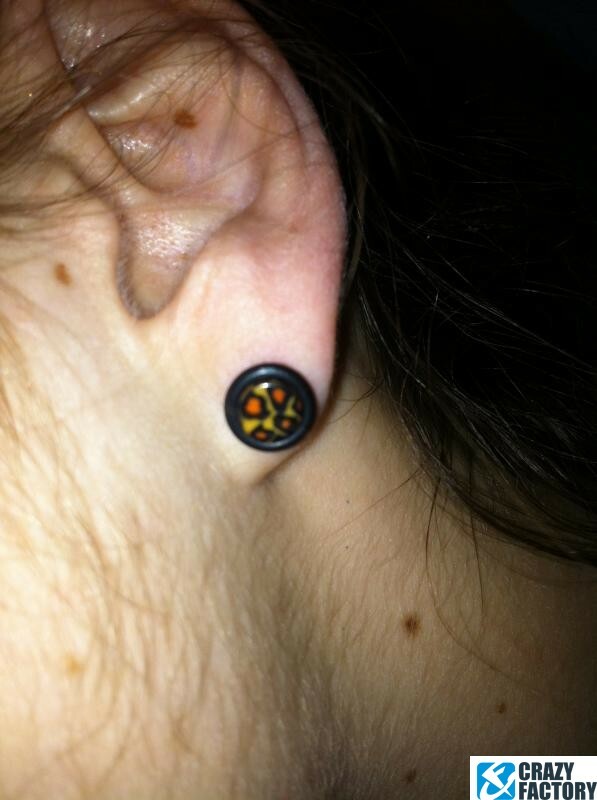 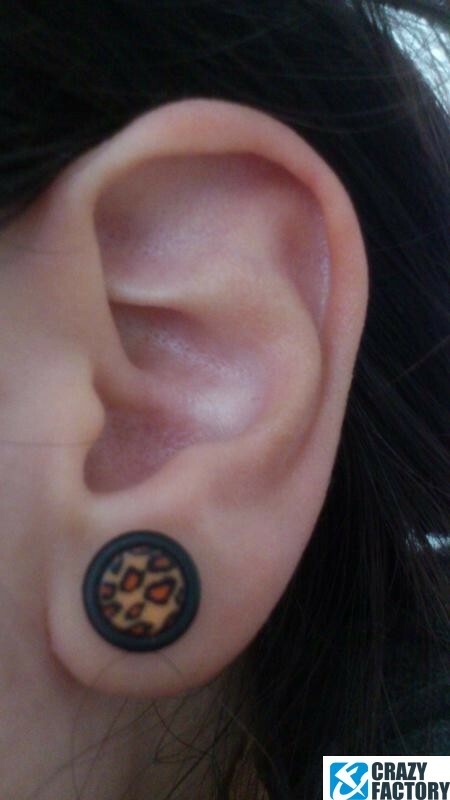 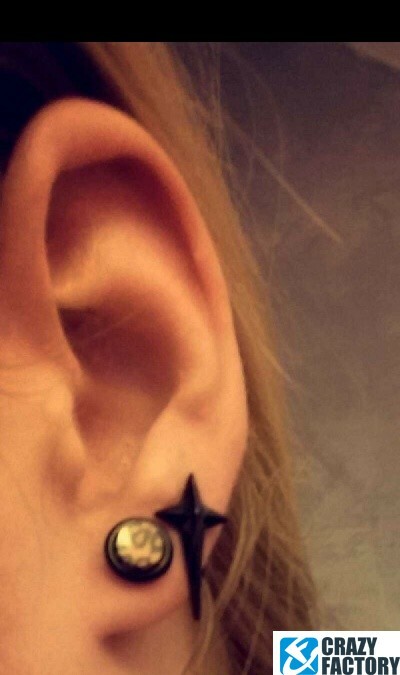 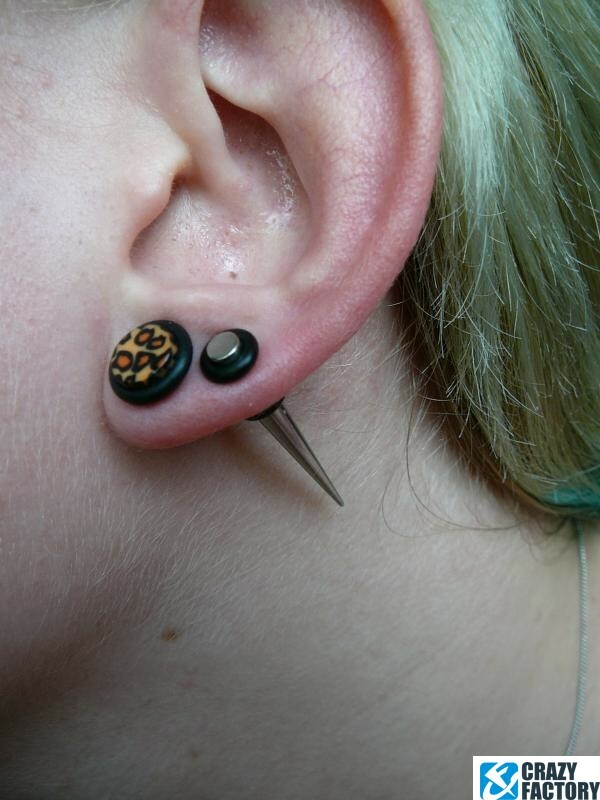 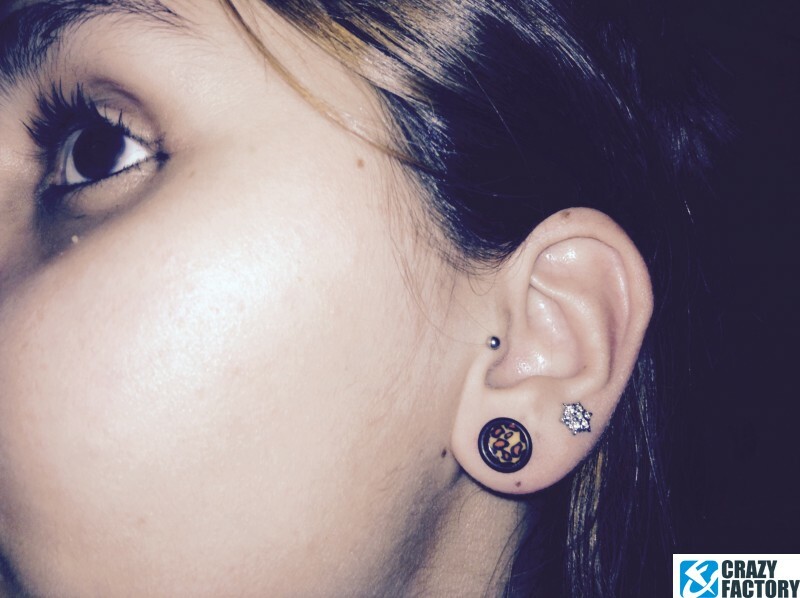 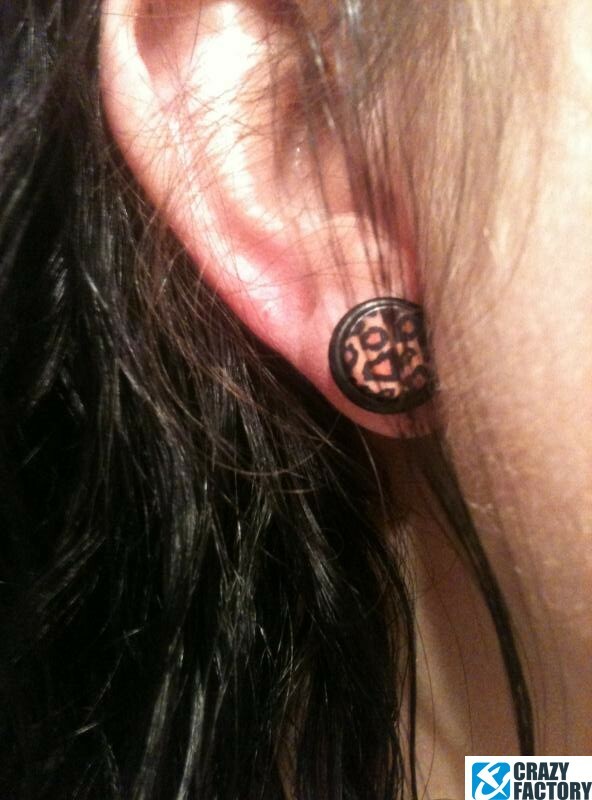 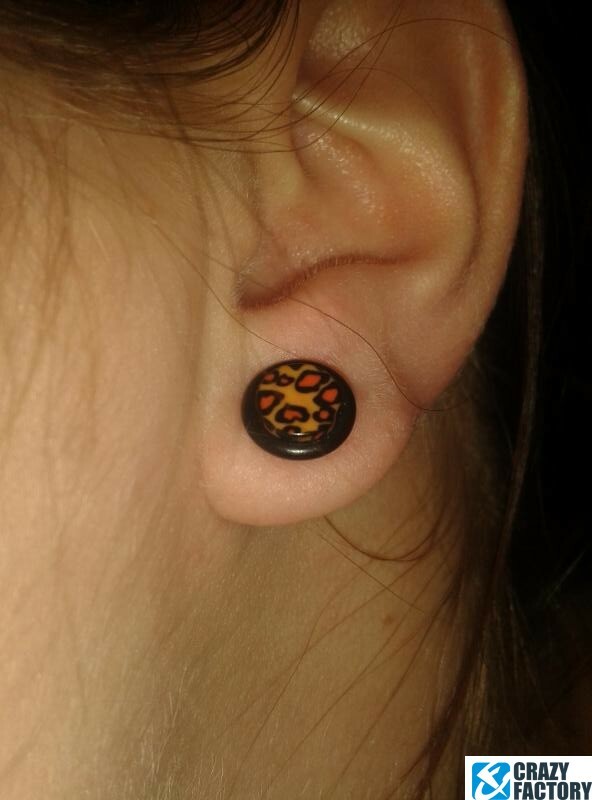 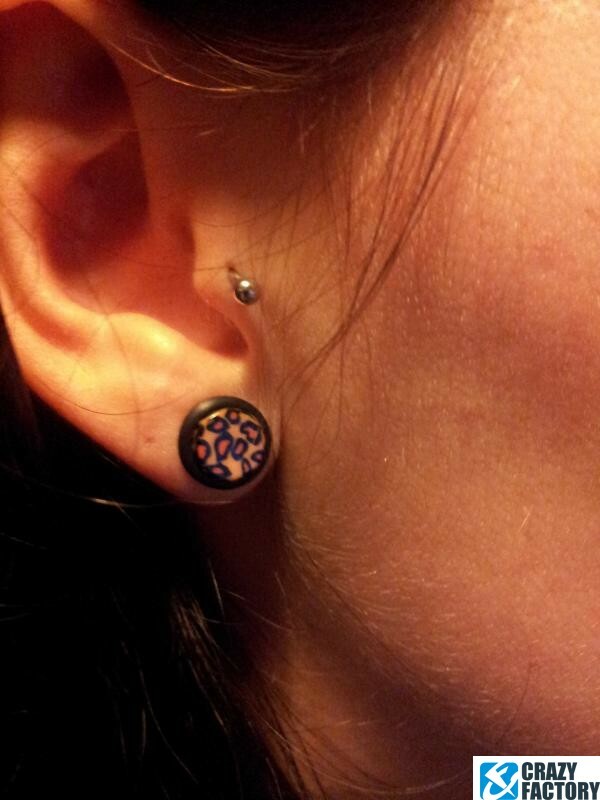 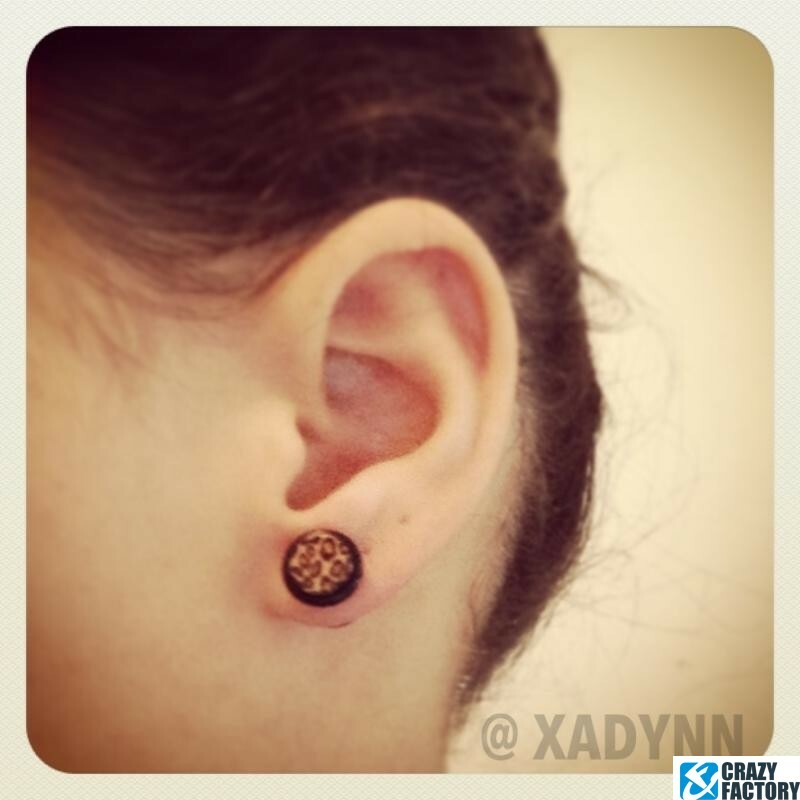 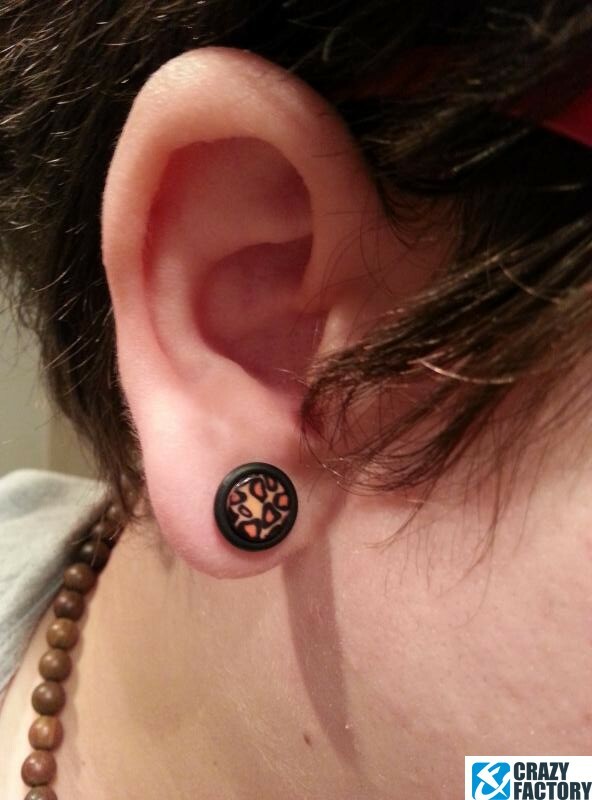 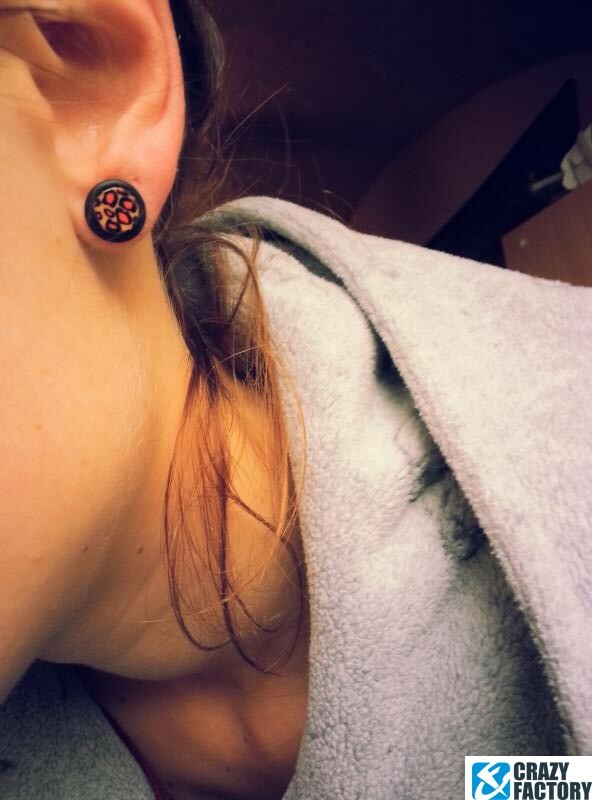 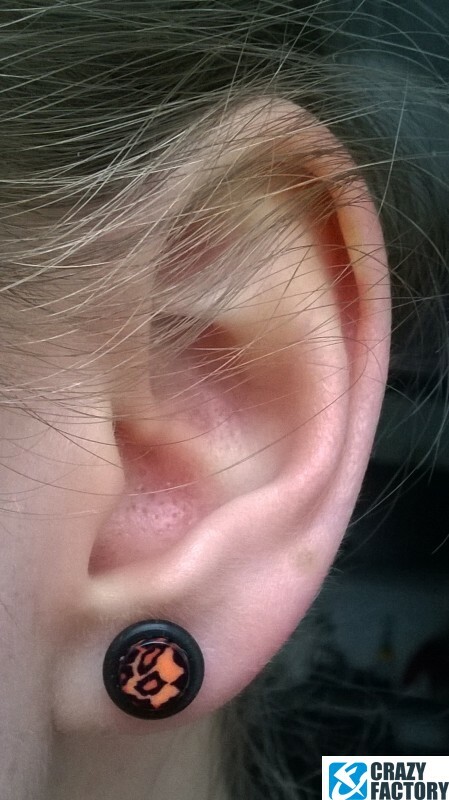 Fake plug with a cool leopard print for unstretched earlobes. 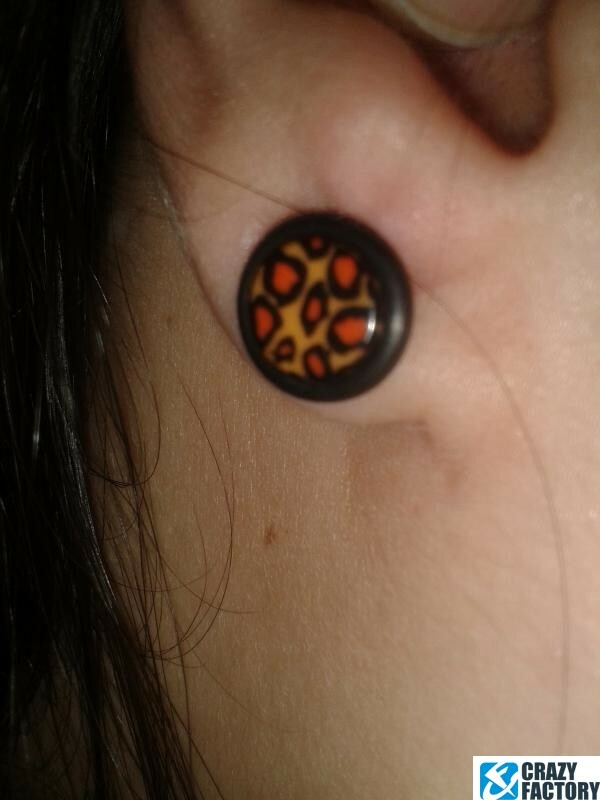 Meeow! 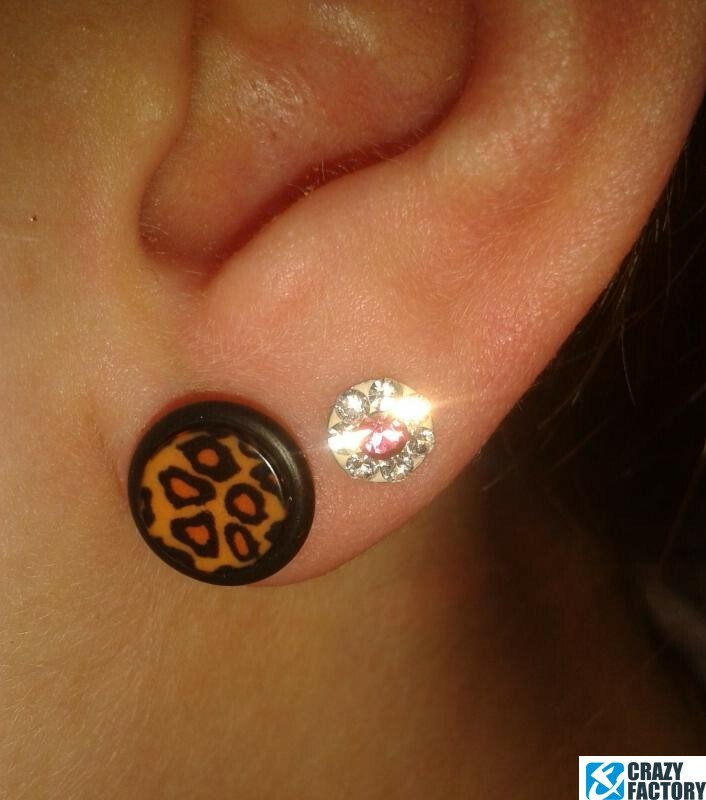 So stylish no one will ever guess it's fake. 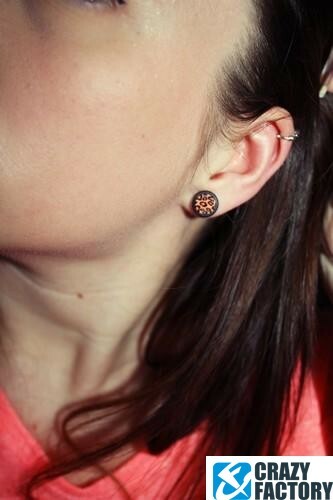 A trendy update for your jewellery collection.